I remember when a bright-eyed, bushy-tailed young me walked out of his first voice lesson at the age of eighteen. All my musical training up until this point had been in piano and everything I knew about singing I learned from the choirs I had sung in. I thought I had at least an idea of what I was doing, but then I started learning about the various bad habits I had already formed and 45 minutes wasn’t even enough to cover them all. I recall feeling utterly defeated by the experience. I would go on to develop a thicker skin and eventually correct these habits, but interestingly enough I found that a lot of the biggest strides I made weren’t from my efforts in the practice room. Here are five of best ways to practice singing without practicing. One of my teaching mentors told me the best way to control a room is with a clear, commanding voice. Fortunately, you don’t need a room full of half-crazed 8th graders to practice this. You can apply the principles of good vocal tone in just about any conversation. I recommend trying this out on someone like a waiter, store clerk, or more formal acquaintance such as a teacher or boss; your friends—or at least my friends-- are a lot more likely to mock you. Focus on producing a crisp, clear tone and enunciating each word precisely. When executed well, you’ll find this impresses most people. Similarly, you can practice good singing posture wherever you go. This requires a lot more vigilance on your part because while you’re not always speaking, you are constantly sitting, standing, or walking. Try to catch yourself slouching at your desk, make an effort to stick out your chest when you walk, and generally give off an air of alertness and confidence. Physical exercise like running, weight-lifting, and yoga can also contribute to better day-to-day posture. “Open up your jaw wider.” “Release the tension in your forehead.” “Don’t hunch your shoulders.” When you hear this kind of constructive criticism in your voice lesson, it can trigger a defensive response. After all, your jaw feels as open as it possibly could. Your forehead has never been this relaxed. And your mom says that you have the posture of a Greek statue. So what’s the fuss? In our own minds, we’ve followed these directions to the letter, but reality is often far from perception, especially when it comes to something as personal as our own voices. Sometimes these things need to be seen in order to be believed, which is why I advocate singing into the mirror. Whoa! A tad crazy. Just a tad. Technically, this tip works best when applied in the studio, but if, like me, you shave in the shower as well as sing, the mirror becomes twice as useful. Ditto for the rear-view mirror in my car (though only at red lights, of course). In any case, get used to what good singing looks like as well as what it feels like. If you’ve never done this, be prepared for a shock: it turns out good singing makes you look a tad crazy. Just like singing into a mirror opens your eyes to how you really look when singing, recording yourself opens your ears to what you truly sound like. This can be painful, but what can I say? The truth hurts, and a big step to improving is getting a brutally honest idea of your strengths and weaknesses. You’ll likely grimace when listening to yourself, but at least you’ll know what you’re putting the rest of us through when you sing. What’s better motivation to keep practicing than that? A lot of people who take voice lessons start out with a vocal role-model, someone who’s voice they admire and strive to sound like. Whether or not this is a good or bad thing depends, naturally, on who that happens to be. You’d be surprised how few popular singers have had any sort of vocal training. I can already hear people thinking “But so-and-so never took any kind of music lessons and he/she sold a bazillion records!” First of all, it is possible to be a successful singer without being a good singer. Sure, a few singers have powered their way to fame with raw talent alone, but they are the exception that proves the rule. Besides, how much better would they be if they had taken lessons? And second, in the age when computers can make Paris Hilton sound decent enough for a single, singers who you thought were really good may not actually have any significant talent to back up their fame. Listen to live recordings of your favorite artists or, better still, see them perform in person. Just make sure they aren’t lip-syncing. Always be a student. The older I get, the clearer it becomes to me that there is still SO much to be learned! - Anna Fagan teaches piano for The ZOEN and blogs at FaganPiano.com. To be a musician, you must listen to the music that's in your heart and share your own expression of it through the way you perform the notes. The music must transcend mere notes on paper if it is to be performed and heard in its full magnificence. Practicing with an audience is the best practice there is! Playing for your own personal enjoyment is a fine and worthy reason to pursue music, but to truly get the most out of your musical study you must perform at some point, whether it's in front of a crowd or just a few friends. It gives you something to work toward and increases the pressure just enough to make you push yourself. And it get's easier every time you try. - Jason Campbell teaches piano and voice for The ZOEN and blogs at Ivory Man. Listen! Ours is the business of sound, so whether you are in it just as a hobby or if you are planning on auditioning for the Chicago Symphony Orchestra, be listening to other successful musicians and emulate the sounds you hear. - Fran Beaudry is a clarinet teacher with 30+ years of experience in music education. Rhythm may be the single most important element at any stage of playing. Without the element of time to guide us, music loses definition and structure. - Eddie Sundra teaches both clarinet and saxophone and is pursuing a degree in Clarinet Performance at Penn State. Whenever you are bummed out about having to practice, imagine yourself in a vast sandbox full of notes, rests, licks, and phrases. In the grand scheme of things, music is about making something out nothing, about pulling music out of thin air. You are lucky enough to set time aside to participate in that activity. Who wouldn't be excited about that?! - Daniel Joseph Dorff Jr. teaches piano and drums in addition to working as a touring musician. Never lose sight of what makes music important to you. 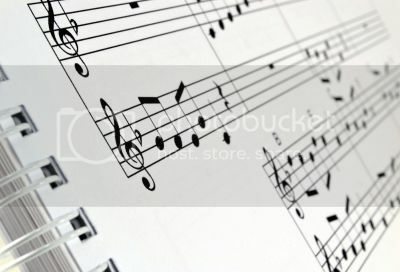 Regardless of how much a passage is frustrating you or how much you want to throw your instrument at the wall, remember that music is a medium allowing intangible structures to pass through our souls. - Eddie Sundra teaches both clarinet and saxophone to students of all ages. Don’t listen with your eyes. We live in a world of overstimulated multimedia. Instead of just looking at a Guitar Tab, playing what it says, and thinking that it’s correct, take the time to close your eyes, and listen to what you’re playing. Make sure the notes are correct, make sure you’re bends are to pitch, make sure all the little nuances are there. There is a big difference between playing the instrument and practicing it. Playing will always sound better....after you've practiced. - Matt Brechbiel teaches guitar, bass and songwriting to student of all skill levels. At any level, in any style, for any purpose, playing the music you love is what it's all about. - Phillip Amalong is a composer, performer and recording artist who teaches intermediate and advanced piano. Do you have any advice to add? Has a piece of advice shaped your development as a musician? Please share your thoughts in the comments below! Pick up Lizzie at school, and drive 20 minutes in semi-stressful early rush hour traffic. Arrive at teacher’s studio. If we can park nearby, I sometimes send Lizzie in by herself. The other kids and I stay in car, running heat or AC as the season dictates. I haven’t even begun to figure out the cost of gas for these lesson trips - no doubt we’re burning through extra cash. More often, we go into the waiting room that our teacher and other teachers share. It’s crowded, chaotic, full of other kids who are sick or misbehaving. The other parents can be great to talk with, but generally this waiting room is not a pleasant experience. Time for Lizzie’s lesson. She forgot to hang up her coat. She runs back, throws it in my lap and...now she has to pee. I point her to the restroom and she scurries into her lesson in one of the many small rooms down the hall a few minutes late. Lesson over. No time to talk with teacher as the next student is waiting. Pack up all our stuff. Put kids coats on and schlep everyone and everything out to car. Our commute home is now a stressful 40 minutes as rush hour has intensified. Home. Corral everyone from the car to the house. Return a phone call from our kitchen contractor, read notes from Lizzie’s teacher, work with kids to pick up the mess they made as we hurried out of house earlier. Consider preparing dinner, but I’m too exhausted and the children need my attention. I call my husband Jeff and we make arrangements to meet at a pizza place that’s on the way home from his office. Pizza dinner. It’s quick, but not the healthiest. We get the family out of there for $35. Home. Everyone back into house. We start getting younger children ready for bed. I’m ready for bed myself! Instead, its time for me to get cracking on the work emails that have accumulated over the course of the evening. My neighbor Claire and I take turns picking up our girls from school. On Lizzie’s lesson day, it’s Claire’s turn. I'm home enjoying working on art projects with some of the other kids. Lizzie’s home. We have a snack, wash up and position the laptop by the piano so that webcam has a good view of her and the keyboard. We login to The ZOEN and I greet Lizzie’s wonderful teacher whom we’ve chosen from a selection of over 50 from across the country. For the next 30 minutes while Lizzie is having her lesson, I read a chapter of that book I’ve been trying to catch up on or I catch up with some business calls and emails that I’d otherwise have to push to late night. The other children are happily playing in the family room and I drop in on them occasionally. I check in with Lizzie’s teacher, get some pointers on the week’s practicing assignment and we sign off. The evening is free, I’m not stressed or tired, and my daughter has just had a fun and productive music lesson experience. Have online music lessons made my life just a little bit easier? Yes, yes they have. Kaitlyn W. of San Ramon, CA is a mother of 3 and busy web entrepreneur who loves music and used to play the clarinet in high school. She tells us that with the convenience of online lessons, she may start playing again herself. Welcome Kaitlyn! 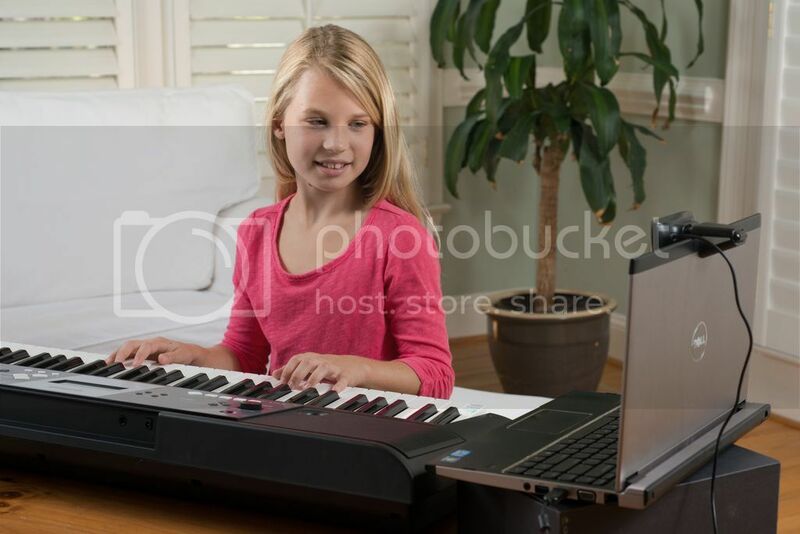 Find out if online music lessons with The ZOEN are right for your family. Schedule a free trial lesson for your child now. Ah, the age old question. Should I start with an acoustic or electric guitar? Opinions on this vary greatly and there’s really no clear winner in the debate. 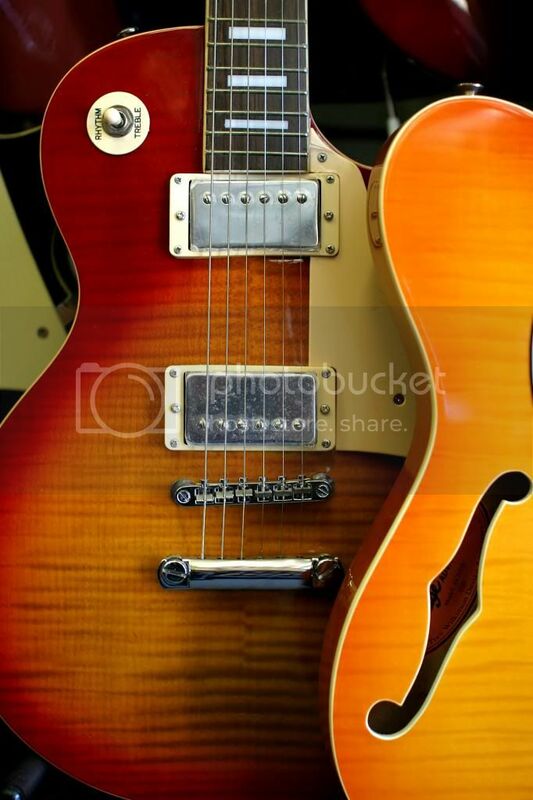 Each type has its own unique advantages and every guitar player will likely play both eventually. Start by asking yourself: what style of music do I want to learn to play? If you’re 15 years old and you want to learn to play some Linkin Park, well then, your best bet would be to start with an electric guitar. If you’re into Mumford and Sons, go the acoustic route. Acoustic guitars are best for folk, country and bluegrass while electric guitars lend themselves to rock and metal. Adults seem to migrate to the acoustic in the beginning, but before long they’re hooked and go out and buy an electric as well. If you pick a guitar that’s in line with the type of music you’re interested in, you’ll likely practice more often and thus progress quickly. There are a few more points to consider. If you buy an electric, you're going to need an amplifier. So, you're adding expenses onto your initial investment. If you buy an acoustic, all you have to do is start playing. You can easily bring your acoustic guitar along on a road trip or camping weekend - there’s no need to worry about electricity or an amplifier. An electric is a bit easier on the fingers in the beginning. An acoustic guitar will be a bit harder on your fingers in the beginning, but your hand strength will develop more quickly. Whether its an acoustic or electric guitar you’re buying, it is important to find a quality instrument. That does not mean you have to go and spend hundreds of dollars on a guitar. You can find plenty of new guitars and all in one guitar sets for under $200. They have everything you need in one box. Craigslist is full of used instruments too. (Hint: always check Craigslist towards the end of the month, that’s when you’ll find more guitars go on sale.) Check out a used guitar before you buy it--take an experienced guitarist with you if you're a beginner or unsure about the instrument. There is no right or wrong answer to the acoustic vs. electric debate; it really just depends on what you want to play and personal preference. Go to a music store and try both to see which one you like. The chords and notes that you start off with will be exactly the same. Remember, guitar is the easiest instrument to learn. So, go get yourself a guitar, find a teacher, and start playing. Matt Brechbiel has been teaching students of all ages and levels to play the guitar for over 20 years. Book an online guitar lesson with him or visit him at mattbmusic.com. 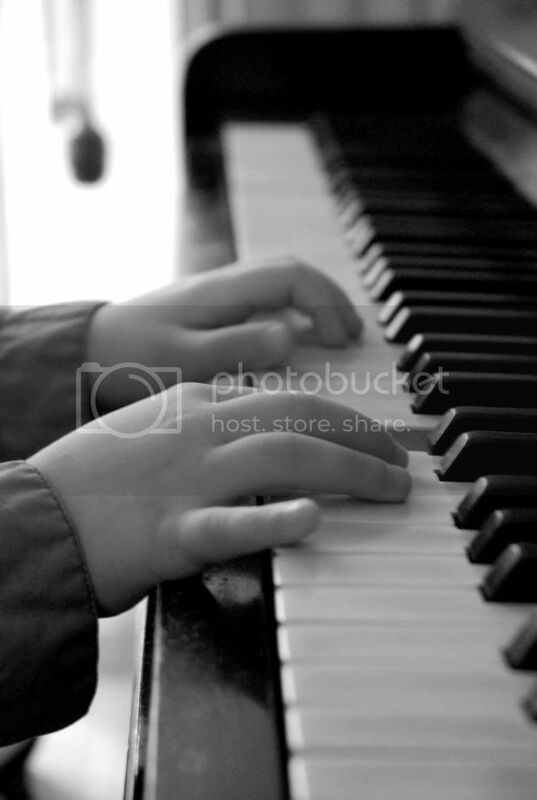 The price for music lessons can range from $15 to $40 for a 30 minute session. The price a teacher charges is based on their own education and years of experience. While longer lessons (45-60 minutes) are available its safe to assume that a 30 minute lesson will suffice for most beginners and children. In order to best learn an instrument, consistent lessons at least weekly are most effective. So, at $25 per music lesson for, say, 50 weeks you’re looking at $1250 per year. However, there are a few additional factors that influence the cost associated with learning to play an instrument like the guitar, piano or saxophone. If you happen to live in a large metropolitan area, the rates teachers charge will be higher. If the teacher makes house visits, their price will reflect their travel expenses. If you are the one doing the traveling you will certainly feel the added gas expense. You’ll also find yourself spending more time in the car driving to and from and waiting during the lessons each week. It all starts to add up. Enter online music lessons from The ZOEN. 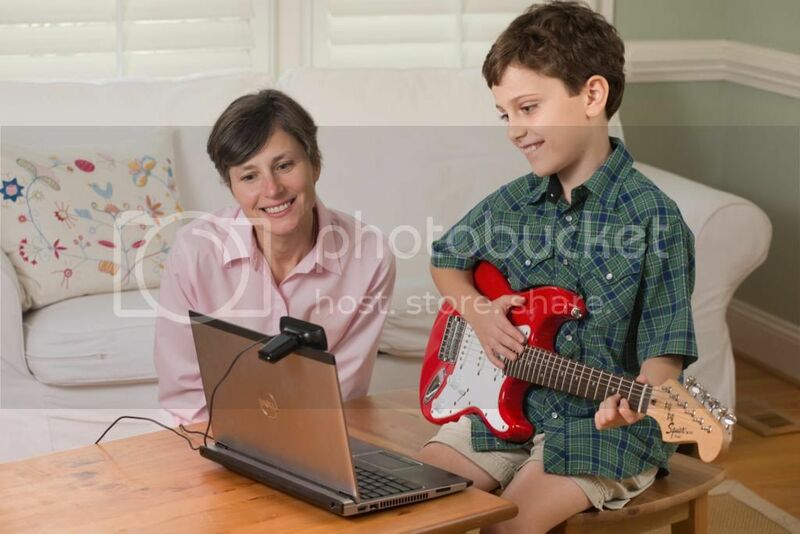 By taking music lessons online via webcam your child will be able to connect with their perfect music teacher without all the hassle of traditional music lessons. ZOEN teachers are experienced, vetted professionals dedicated to teaching students the music they love. You can still expect to pay the average market rate but without all the driving you’ll save time and save money. Therein lies the savings. At over $1000 a year, you want to make sure you have the right teacher. Being able to choose from teachers nationwide and access them from the comfort of your home is how you can maximize the return on your investment. Watch the video below and see what online lessons are like. Then give it a try--it just might be the perfect fit for your family! Do you sometimes struggle with memorizing a piece of music? Consider that memorization can actually be a natural process, and you may be memorizing your music without even knowing it! In 1970 I was a member of my university’s symphonic band. On one occasion we had traveled several hours to perform an hour long concert. Upon arrival it was discovered that our music folders had been left behind. What were we to do? Our director made a decision; we were to perform the concert from memory! We had never before played any of the music from memory - we never imagined it would be necessary. But yes, the 90+ members of the symphonic band assembled on stage and played a full hour long concert totally from memory. So how were we able to pull it off? That’s simple. We had rehearsed and performed the music so many times that we didn’t really have to rely on sheet music. We had memorized it without even intending to. It was a “natural” result of having played it so many times. Take the piece you’re working on and select one phrase. Play that section of music repeatedly while reading the music. Don’t think about memorizing it. Just play it and listen intently to what you’re playing. It’s important to use your ears. Begin to look away from the sheet music for a measure, then two measures, then three or four. Just let it happen. We have a natural ability to remember things we do repeatedly. Use your aural memory to help remember what the music sounds like and then reproduce it naturally. Test yourself and try again and keep trying until you succeed. When learning long pieces, some people do better by working from the end of the music back to the beginning. In other words, play an entire section repeatedly and each time through, look away from the sheet music a measure earlier while continuing to the end from memory. Sooner than you think, you’ll be playing the entire piece from memory. Yes, it takes repetition. But using your natural ability to perform music “by ear” can help speed the process. Whether you’re learning saxophone, piano, clarinet or any other instrument, be sure to ask your teacher for their tips and tricks. That’s exactly the sort of thing they can help you with! Is there a memorization system that works for you? Share your tips in the comments! Wayne Land is a virtuoso saxophonist with over 45 years of teaching and playing experience and two degrees in music education. Book an online saxophone lesson with Wayne in The ZOEN.